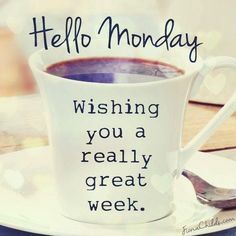 HAPPY MONDAY AND WISHING YOU ALL A VERY BLESSED WEEK FROM PREMIER INSPECTIONS! WE STILL HAVE OUR FALL SPECIAL OF $50 OFF, SO CALL TODAY AND SCHEDULE YOUR HOME INSPECTION TODAY WITH US. PREMIER INSPECTIONS IS ALL ABOUT SAVING YOU TIME AND MONEY AND MAKING SURE YOU GET INTO YOUR DREAM HOME WITHOUT ANY PROBLEMS AND KNOW WHAT EXACTLY KIND OF PROBLEMS THE HOME MAY HAVE. WE PROVIDE YOU WITH CLEAR, DETAIL IMAGES AND A REPORT THAT IS EASY TO READ THAT WE GO OVER WITH YOU ON SITE SO IF YOU HAVE ANY QUESTIONS, WE ARE ABLE TO HELP YOU AND MAKE SURE YOU GET THE BEST UNDERSTANDING OF WHAT ALL IS GOING ON. WE KNOW THAT BUYING A NEW HOME IS A HUGE DEAL AND WE WANT TO MAKE THE PROCESS FOR YOU IS AS SIMPLE AS POSSBLE AND HELP YOU SAVE MONEY. SO, CALL US TODAY AND LETS GET YOU BOOKED…817-637-6837!! !